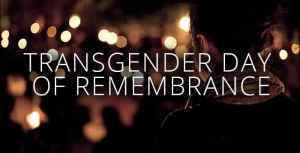 Worldwide, individuals and organizations will help raise the visibility of transgender and gender non-conforming people, and address the issues these communities face. Events at UUCJ include a social gathering at UUCJ on Monday at 6 p.m. and a viewing of the film Boys Don’t Cry on Wednesday at 6 p.m. Contributions of popcorn and drinks for Wednesday’s event would be appreciated.